It all began in grade 6 when I knew I had an affinity for food, I was sure that food was going to be a large part of the rest of my life. My love of cooking flourished with the culinary programs offered at my High School where I was able to specialize in baking for 3 years. Pastry arts came naturally to me as I began to hone my skills, and gain experience in the culinary world by working at YMCA camps over the summer months. My journey had begun. Soon after graduation, I started my apprenticeship at Talisman Mountain Resort in Kimberley, ON and then moved to Krebs/Ali Baba Restaurant. Knowing that this was my career choice, I enrolled at George Brown and completed my Cook Level 1. I continued my apprenticeship at Charlies and at Janet Lynn’s where I was able to finish the required apprentice hours. My love and ability for creating stocks and sauces had grown tremendously by this point and I was the designated Saucier at each of these establishments. Upon leaving Janet Lynn’s I enrolled once again at George Brown and completed my Cook Level 2. It was not until I finally received my Red Seal in May of 1990 that I considered myself a Chef, a title that I hold proudly to this day. Over the span of the next two decades I worked in a number of establishments including my return to Krebs/Ali Baba as Sous Chef, Charlies as Head Chef, the Bismark Pub as Chef, and once again Krebs/Ali Baba this time as Executive Chef. I also worked for some time at Aberfoyle Mill as line cook/saucier, Pinestone Resort as Head chef, Del Dentes as Chef followed by Charcoals as Head Chef. I worked after this at Mohawk Racetrack for 2 years as Sous Chef and the Walper Hotel as the Executive Chef for 4 year. With all this experience under my belt I was ready for the next step, ownership. I owned the Rum Runner Pub in the Walper Hotel until a change of ownership forced me to move on. Each of these experiences allowed me to grow as a Chef and also as a teacher because I was given on multiple occasions the opportunity to mentor numerous apprentices. I learned of myself that I love teaching the art of cooking to anyone that wants to learn and the opportunity to do so with the next generation of Chef’s and Cooks became a part of my passion. This translated nicely into the next chapter of my life where I was given the chance to teach full time at Liaison College of Culinary Arts in Kitchener while a fellow Chef was on Medical leave, and, still now, as the Head Chef for the Culinary Boot Camps offered by the College. 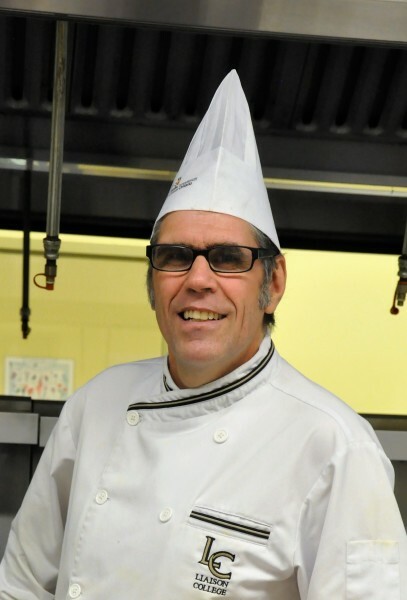 Today, I am successfully running my own restaurant, Darlise Café in Kitchener, ON, it is a breakfast and lunch restaurant that creates every menu item from scratch using nothing but the best and freshest ingredients available. The Café also works with St. Matthew’s Church in Kitchener to provide a low cost lunch for Seniors three days a week during the Fall/Winter/Spring seasons. Darlise Café provides allows me to wake up every day and follow my dream, but it also allows me to continue to provide mentorship to apprentices in my own kitchen. I still pride myself on the opportunity to nurture students into becoming the type of cook they want to be in the kitchen with a hands on approach and a teaching style that give them all the tools they need to be successful on their journey.